Aurorae are a family business, an active lifestyle retailer, and yoga mat company founded in 2009 by yoga student and cancer survivor, Dennis Ingui; he started practising yoga to help rebuild his body and develop inner peace of mind. It wasn’t long before he was inspired to create innovative, eco-friendly, top-of-the-range-yet-affordable yoga mats, towels and active wear; his dedication paid off, and made his brand, one of the top yoga and active lifestyle companies in the world. Let’s look at how this product compares to those of rival brands on the market. 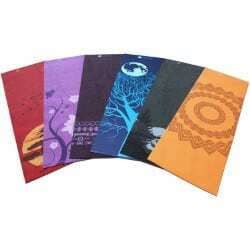 What can the Aurorae Printed Yoga Mat add to your life? 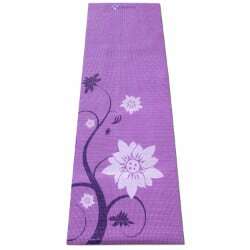 Think of the top four things you’d expect to find in a high quality yoga mat. Is is a generous size? Eco-friendly material? Durability? A good thickness? This mat has all three and much, much more besides - no wonder it has garnered 1500-odd enthusiastic reviews on Amazon. Aurorae, remaining true to themselves, have once again produced something that can only be described in superlatives - and a broad smile! Let’s see why in the next section, beyond what you already know. It is easy to care for: machine-washable and hang-dry. It is free from silicon. Being thick-yet-lightweight. Most customers reported being pleasantly taken aback by this unusual combination; everyone, even the boniest yogis, agreed that is provides excellent cushioning of your joints at all times, and keeps doing so even after dozens of sessions and washings. Featuring a range of 12 gorgeous, eye-catching colors and designs that really motivate you to get (and stay) in the zone. They all have evocative names like Midnight Moon, Eternity, Crimson Sunset, Passion, Wilderness, Iris Bloom and Golden Circles - men in particular seem to go for Sky, I see. My personal favourite is the sumptuous Native Plum! Some - around nine per cent - of reviewers found it a little on the slippy side when compared to other top bracket yoga mats, especially once they started perspiring towards the end of their practice sessions, which did not diminish even after being broken in a bit - it is the price one pays for that gorgeous print, apparently. However, when combined with a towel, the issue was resolved. I’m going to wrap up this Aurorae printed yoga mat review confirming what you may already be suspecting - that everything in the Aurorae range, including this particular yoga mat is a superior quality product well worth buying. The Printed Mat’s subtle-yet-gorgeous designs augment the luxurious tactile experience of the Aurorae yoga mat range perfectly. To help you pick the right Aurorae mat for you, I have written separate reviews for all three designs; next up is the Aurorae Classic Yoga Mat Review. 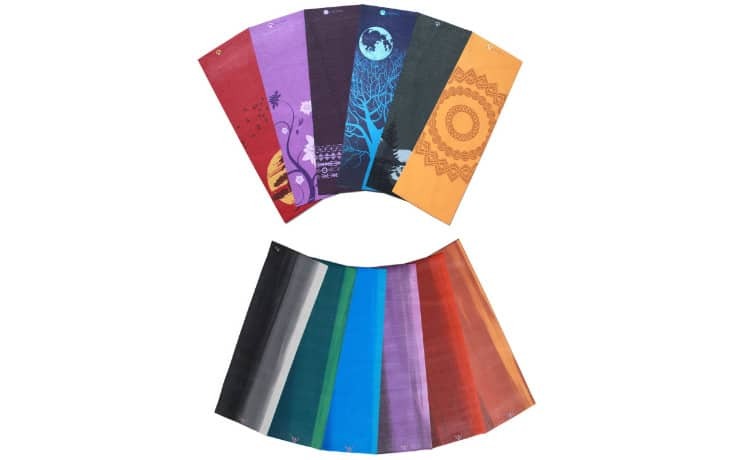 The post Aurorae Printed Yoga Mat Review: Find The Design To Suit You appeared first on MyFreeYoga.